Here is what you’ll hear in my conversation with Sydney about why putting the customer first is a significant business advantage. We started by talking about an incredible book Aligned to Achieve: How to Unite Your Sales and Marketing Teams into a Single Force for Growth co-authored by colleague (and good friend of Sydney’s and mine) Tracy Eiler, CMO at InsideView. Given Sydney’s passion is in delivering customer experiences that wow, which includes how sales drives that experience along with marketing & service, we talked about sales/marketing alignment and the improvement opportunities that still exist. 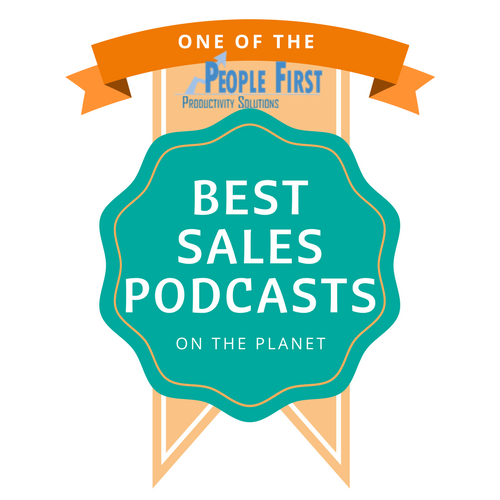 You’ll hear Sydney’s point of view on how to prioritize sales and marketing alignment and some of the tactics she and her team employ at SalesLoft. One of SalesLoft’s core values IS customer first. And while many companies still think about customer experience as what happens AFTER the sale is closed, Sydney believes that experience – positive or not so positive – happens at interaction with a prospect or customer. We discussed how Sydney and her team keep the value of customer first at the center of their marketing and sales efforts. I knew before the interview that Sydney had been described – by people who worked with her and for her– as a creative, intelligent marketer who cares deeply about people and doesn’t hesitate to jump in to do the work. She is all about supporting her team members in getting things done. Sydney explains why that is so important to her and how her approach fits with the customer first mantra and vision at SalesLoft. SalesLoft has grown exponentially in the last few years and was named one of Deloitte’s Technology Fast 500 for the second year in a row. Given the growth distinction and accolades SalesLoft has earned, I asked Sydney if there was anything special that SalesLoft’s sales/marketing teams does to make the most of this momentum. You’ll have to listen to the interview to find out what they do! Finally, you’ll get a sneak preview into what’s happening at SalesLoft’s Rainmaker 2019 sales and sales enablement conference in Atlanta March 11-13. With over 100 speakers and 40 track sessions, their annual Women’s Breakfast and a performance from Grammy winning band Blues Traveler, this conference is not one to miss. Get your tickets TODAY! Listen to the interview and enjoy!Apple Podcasts – Please subscribe so that you never miss an episode! Write a review for the podcast if you like the interviews. Sydney Sloan is Chief Marketing Officer (CMO) of SalesLoft. As the company’s first CMO, she leads the company’s continued customer-first focus and go-to-market efforts as it continues to scale. She is passionate about SalesLoft’s vision for helping sales organizations deliver better selling experiences for their customers. An accomplished marketing executive, Sloan has deep expertise across customer experience, product marketing, demand generation, and communications. She brings passion, skill, and a customer-centric focus to drive tangible results. Sloan is a global B2B enterprise marketing leader who previously served as CMO of Alfresco. She held similar leadership positions specializing in customer experience and product marketing roles for Jive Software and Adobe. Sloan earned multiple business degrees at the University of Southern California, and also studied finance and financial management at Queen’s University in Ontario, Canada. Outside of work, Sloan can be found cheering for her kids at the soccer field and enjoying time outdoors. 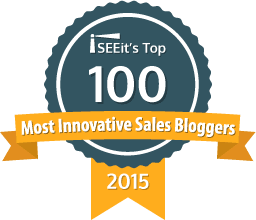 SalesLoft, the leading sales engagement platform. Join them this March in Atlanta for 3 days of learning, networking, and inspiration at their annual Rainmaker conference! With over 100 speakers and 40 track sessions, their annual Women’s Breakfast and a performance from Grammy winning band Blues Traveler, this conference is not one to miss. Get your tickets today at rainmaker.salesloft.com.